Lead the execution of strategies and cross-functional operations projects, to drive growth and service delivery for the solar financing company illuminating East Africa. Over 500 million people across sub-Saharan Africa lack access to electricity, and the International Energy Agency expects that number to increase to 700 million by 2030. Since extending the grid to them would cost trillions of dollars, micro-scale, off-grid power from solar is often the only viable answer to energy poverty. In countries like Uganda, where only 15% of the population has an on-grid connection, there’s undeniable potential for solar to leapfrog traditional energy provision models; however, affordability, perceptions of low quality, and the absence of last-mile distribution and maintenance networks are curtailing development. These are the very problems that SolarNow, was founded to solve. The company has grown fast in the past 6 years. From a small start-up, the distribution and finance company grew to become the market leader for high-quality, customised solar energy solutions for households and the entrepreneurial class in Uganda and, since 2017, also Kenya. The company now has over 600 staff, and aims to double in size for the next two years. 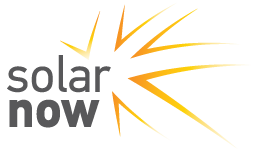 Solar Now are seeking an Operational Development Director to lead the analysis, design and improvement of SolarNow’s operations during this exciting next stage of growth. As Operational Development Director, you will report directly to the Chief Operating Officer and play a key leadership role in the design, development, and execution of the Governance Model, Performance Management, Organisational Model, Operational Descriptions and the Process framework. In addition, you will lead cross-functional projects in line with the organisation’s strategic direction; providing overall direction and leadership in the design and development of the systems and operations to enable sustainable growth and client focused practices, namely reaching and supporting more clients. As someone who cares deeply about improving livelihoods in Africa, you will bring passion, as well as the grit, determination and resilience to do the work, to the organisation. You will be hands-on in understanding and solving issues, and follow through to convert insights into operational design and operations project implementation. A natural problem-solver, direct and candid communicator, and a thoughtful change agent who enjoys working with a range of stakeholders; you will relish the opportunity to design the operations to impact excellent service delivery, sustainable growth and the continued expansion of SolarNow. Design, develop and execute the Governance Model, Performance Management, Organisational Model, Operational Descriptions and the Process framework. Design, develop and execute cross functional assignments across operations, in line with SolarNow Strategic Direction; including designing and developing together in collaboration with other functions, with full execution owned by Operations Development. Assure a Project Governance Model for both internal and external projects/programs. This includes definition, approval process and Governance. Design, develop and own the Customer Journey and associated improvement practices ( RPA, Processes, AI, People etc). Design, develop and execute changes to the Branch office or sales channels in existing or new markets for the company in a standardised and controlled process. Design, develop and execute the engagement and transition plan into a new market for the company in a standardised and controlled process. Manage Data analytics; proactively leverage, share and develop to enable a sustainable impact on SolarNow Strategic Plan, Customer Journey, clients or other functions at the company. Assure and leverage industry insight and how to transform this into a value add to SolarNow, Clients and Staff, using tools, processes and systems applicable for the same. At least 10+ working experience in senior relevant to role management position.